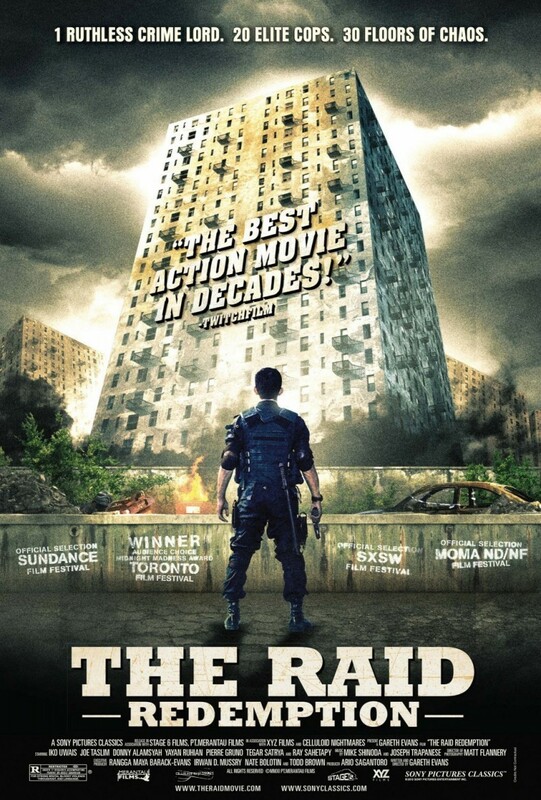 The Raid: Redemption DVD and Blu-ray release date was set for August 14, 2012. A Jakarta SWAT team led by Lieutenant Wahyu has chosen to engage in an assault on an apartment building that has acted as a fortress for the brutal crime lord and drug kingpin Tama and his sadistic underlings. The mission seems to be flowing without a hitch as they begin their early-morning assault, but the careful plot unravels in an instant when they are spotted and Tama is quickly informed. The lights are brought down and the exits are barricaded, leaving the SWAT officers separated from the outside world and struggling to survive a relentless battle of attrition against some of Indonesia's most remorseless and powerful thugs.